Whatever it is that nudges your muse please be aware and give yourself every opportunity to be inspired. 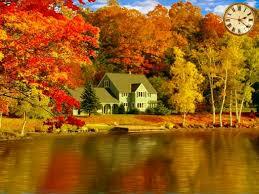 For me Fall is such a wonderful time of the year here in New England. The colors are amazing and I find that very inspiring. What about those colors? Don’t they just make you want some fresh apples or cider? Another thing I love about the fall is the fact that I can share it with the ones I love. So be on the look out for a pack of leaves they are on their way LOL. Whatever it is that inspires you, spend some time with it today. You deserve it! This entry was posted on September 25, 2009 at 1:32 AM and is filed under inspiration. You can follow any responses to this entry through the RSS 2.0 feed. You can leave a response, or trackback from your own site.